Just down the Caloosahatchee River from Fort Myers lies Cape Coral, another sunny Southwest Florida community we’re proud to call home. When Cape Coral residents are ready to head back to their air-conditioned home after a long day out on the boat, they know who to call for any HVAC repair needs — Florida West Coast AC! If you can’t enjoy the space you’re living in because your air conditioning broke, that’s nothing shy of an incredibly frustrating and uncomfortable situation. That’s why our Cape Coral HVAC repair specialists will come straight to your home to quickly diagnose the issue, fix what needs to be fixed, and send you on your way to enjoy uncompromised, at-home comfort. In other words, we make residential HVAC in Cape Coral easy. 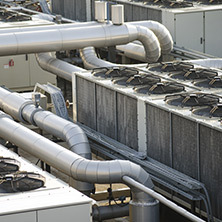 A broken air conditioning unit will render your employees frustrated, unhappy, and ultimately, unproductive. 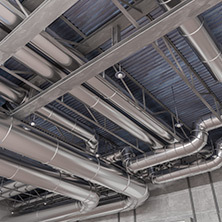 A quick call with our commercial HVAC company will get your office environment back on track. Whether your employees work in a warehouse setting or sit in front of computer monitors all day, there’s nothing more irritating and distracting than being too hot or too cold. People tend to have a very fickle acceptable temperature range, and anything too warm or too cool is enough to make your employee’s mind dwell on their own discomfort. That’s not conducive to productivity, is it? Allow our Cape Coral HVAC company to help maintain a comfortable working environment for you and your team. 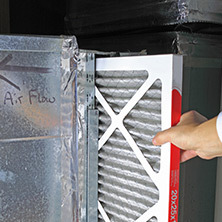 Learn more by reading below and getting in touch with the heating and cooling pros here at Florida West Coast AC! 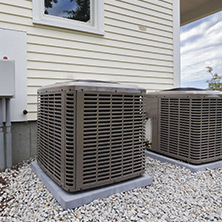 Schedule HVAC Service And Repair In Cape Coral Today! Whether you’re looking for high-efficiency upgrades or your home just isn’t the temperature it’s supposed to be, we’re the local HVAC experts for you. Contact us today with any questions.